If you have an avid boater in your family you might be in the market to get them a gift. It might be their birthday, an anniversary or maybe you’re just getting ready for next Christmas or Hanukkah. We here at National Vessel Registry Center Corp. love boats and love to see people enjoy being out on the water. It doesn’t matter if you’re a fisherman, a water sports enthusiasts of just a person who likes to kayak around on the weekends. We’ve got some gift ideas for the water lovers in your life no matter the occasion. Great gifts for the fisherman (and woman) in your family include things like the x-ray vision of a good fish finder. Every fisher loves to have a good spot to fish and supply them with the right tools to find fish can ease them of hours spent without bites. If your fisher finds that to be cheater opt for something like marine grade binoculars. It’s great to be able to keep an eye out while fishing especially when you’re in an area that has a ton of wildlife. A new tackle box could be in order if your fisherman is equipped with one with that all too familiar pungent smell of fish. One other awesome and the essential gift is a pair of floating pliers. Every fisherman knows the horror of losing a good pair of pliers into the depths! If your giftee is more of a water sports person you can look at getting the something like a new pair of water shoes or nothing is better than protecting your feet from hot sands or sharp rocks. If that doesn’t sound appealing try a portable bluetooth speaker. There are plenty to choose from these days that resonate fantastic sound and hold a long battery. A bluetooth speaker is great for a kayaker that wants to listen to some tunes while out on the water. You couldn’t go wrong by getting them a waterproof case for their electronics. We all know the fear of getting our phones wet, or worse yet, losing them to a lake or ocean. 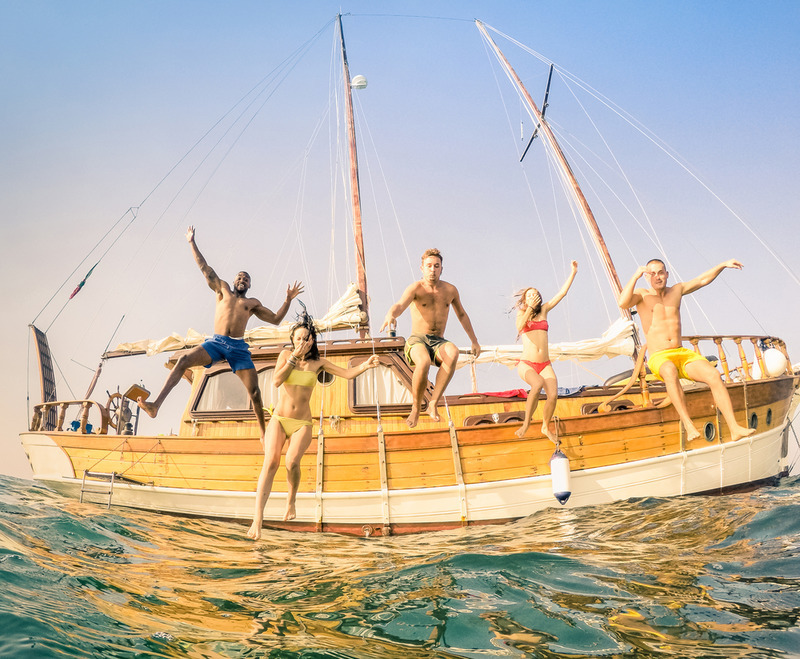 Your watersports fan is sure to love a place to securely hold their most precious electronics so that they can stay safe and connected to a phone line without worry. Other great options for water enthusiasts are a nice pair of sunglasses. You may overlook this one but eye protection can go a long way in keep glare out of your eyes and keep you safe while on the water. If your giftee is into clothes and brands you can look for a pair of Sperry boat shoes or a nice polo. Having appropriate gear while out on the water can really help and some non-slip comfortable shoes can go a long way in keeping someone from falling. Whatever you decide on to get your loved one or friend we do hope you have a few good ideas from these few suggestions!